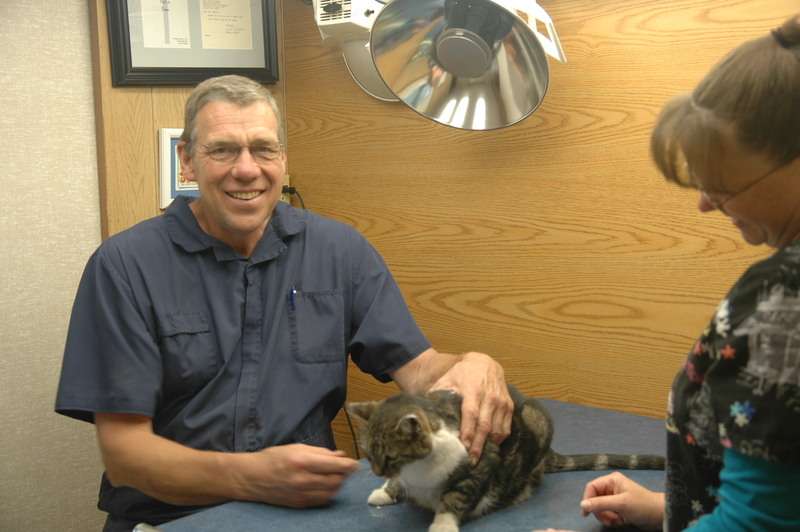 We began our veterinary business in Syracuse in 1976 as a large and small animal clinic dedicated to the health and well-being of your pets and animals. As a full-service clinic, we see all kinds of animals from your kitty to hedge hogs, dogs, potbelly pigs, goats, cattle and even a camel once in a while at the Lincoln Childrens’ Zoo! Dr. Gigstad will make farm calls but has facilities to take care of all your cattle’s needs right here in Syracuse. We are also in partnership with Arbor Valley Animal Clinic – Nebraska City, James Gigstad, DVM., 402-873-3402. Advanced appointments are highly recommended. Come see us!